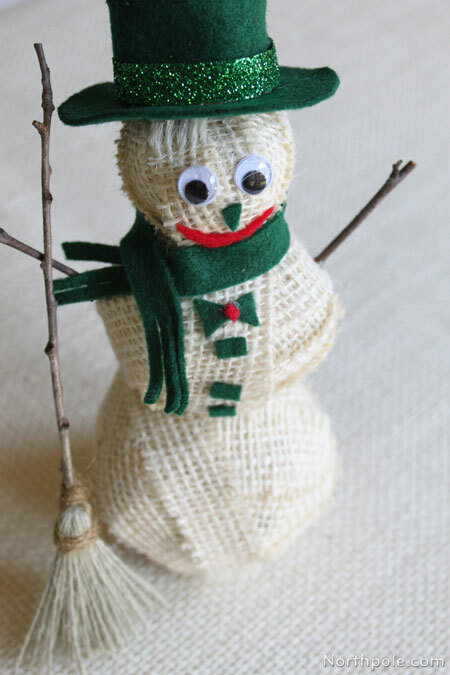 Snowmen are a classic winter icon. Bring the charm of these frosty, round men indoors with these delightful rustic burlap balls. Decorate them any way you wish! 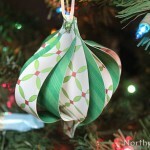 Make burlap balls (instructions are here) or reuse the ones you made previously. You need different sizes—small, medium, and large. Ours measure: 1.75", 2.5", and 3". Add facial features to the smallest ball. Add wiggly eyes. 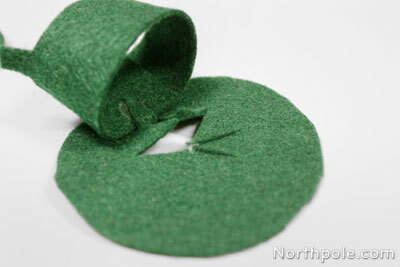 Cut out small shapes from felt for nose and/or mouth. 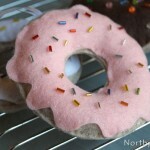 Add small buttons (or scraps of felt) on the medium ball. 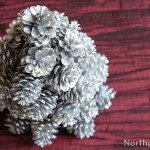 Use hot glue to glue balls together. Glue sticks to bottom of the snowman. 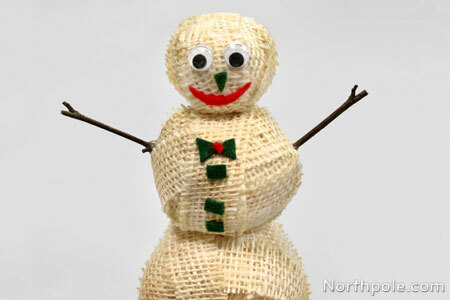 The sticks will help stabilize the snowman, enabling him to stand up. 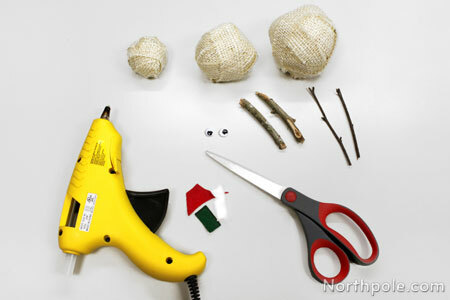 Glue thin twigs to the sides for arms. Lay felt on a flat surface. Lay pattern pieces on felt. Trace pattern pieces on felt using a marker. 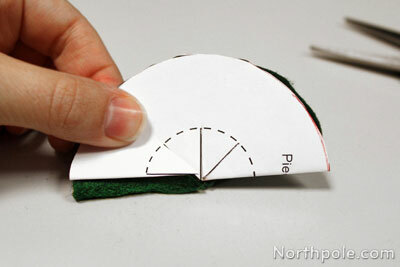 Note: Fold #1 in half, and then cut lines in center, DO NOT CUT the dotted line. Roll the rectangle piece #2 so that it forms a cylinder shape, overlapping ends 1".� Glue in place. Begin gluing piece #2 to piece #1. 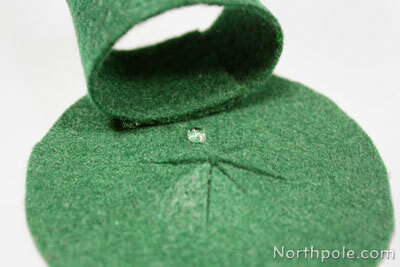 Gluing one at a time, apply glue to the triangular tabs of piece #1 and press against the inside of piece #2. Continue gluing until complete. Now it’s beginning to look like a hat! Fold over the tabs of piece #2. Place a small amount of glue on each tab, one at a time, and press piece #3 into place. Slightly lift the rim of piece #3. 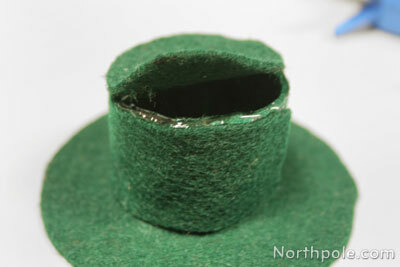 Apply a thin line of glue along the top ridge of the cylinder. Immediately press piece #3 down. 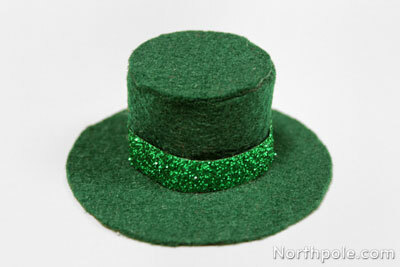 Work in sections until the top of the hat is complete. 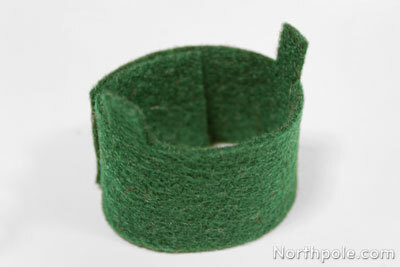 Cut a piece of ribbon that is 5.5" long. 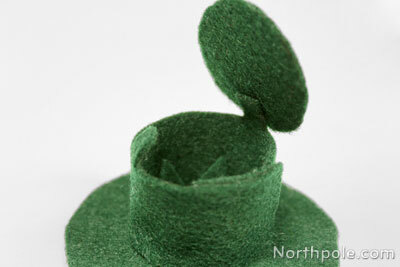 Apply a small amount of glue to one end of the ribbon. Immediately place onto hat. 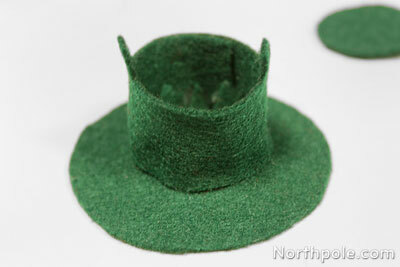 Wrap ribbon around the hat and finish by securing with a small dot of glue. 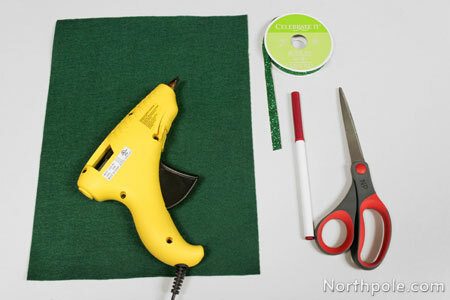 To make the scarf, cut a piece of felt that is 0.5 x 12 long. Cut lines on the ends of the strip to make fringes. Wrap around the snowman’s neck. 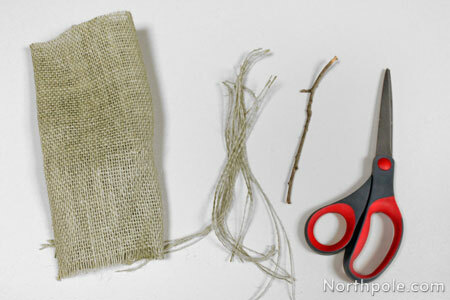 Scrap pieces of burlap, at least 5" x 5"
Pull threads from the burlap and neatly gather the threads. 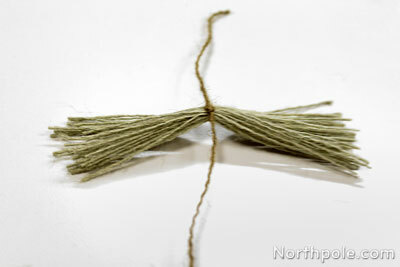 With the longer piece of thread (or twine, or yarn) tie a knot around the middle of the threads. Fold threads in half. 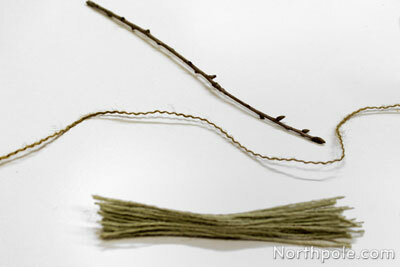 Place twig near the knot. Gently pull a few threads of broom to cover the twig. 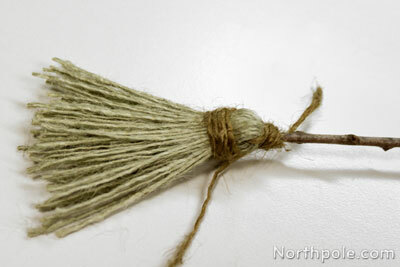 Now take the long thread (that is tied in the middle of the broom) and wrap several times around the broom bristles. Tie a knot and trim excess thread. 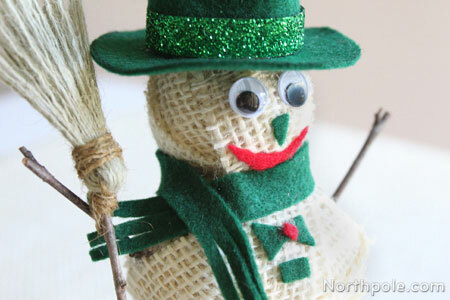 Now your snowman has a broom!